This Vancouver area hotel features a continental breakfast and free WiFi access. Guest rooms include a flat-screen satellite TV. Washington State University Vancouver is a 5-minute drive away. A microwave and small fridge are featured in all rooms at Quality Inn Vancouver. The private bathrooms are equipped with a hairdryer and free toiletries. Quality Inn Vancouver offers an indoor pool and a hot tub. Vending machines are also provided for guest convenience. Interstate 5 is just a 2-minute drive away, and the city centre of Vancouver is a 10-minute drive from the motel. Portland International Airport is 24 km away. Welcome to the Hampton Inn & Suites Vancouver/East a?? 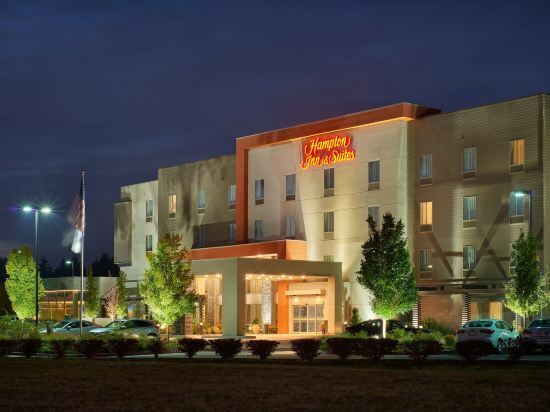 a warm and welcoming hotel just minutes from I-205 and one mile from Columbia Tech Center. Our park-n-fly service and airport shuttle makes this an ideal base for guests travelling to and from Portland International Airport, just five miles away. Enjoy easy access to local restaurants and shops or catch the latest blockbuster at the Cinetopia Movie Theater, just a short drive away at Westfield Vancouver. Visit popular attractions including Columbia River Gorge, Portland Zoo, Mount St. Helens and the Vancouver National Historic Reserve; all easily reached from our hotel in Vancouver, WA.Feel at home in a spacious and inviting guest room or suite, equipped with a variety of modern amenities. Check emails with free WiFi at the spacious desk or use the handy lap desk. Heat snacks in the microwave, chill drinks in the refrigerator and sleep soundly on the clean and fresh Hampton bed??. Swim in the indoor pool, relax in the whirlpool or work out in the 24-hour fitness center before joining us for Hampton's free hot breakfast buffet. Buy snacks and sundries in the 24-hour Suite Shop. 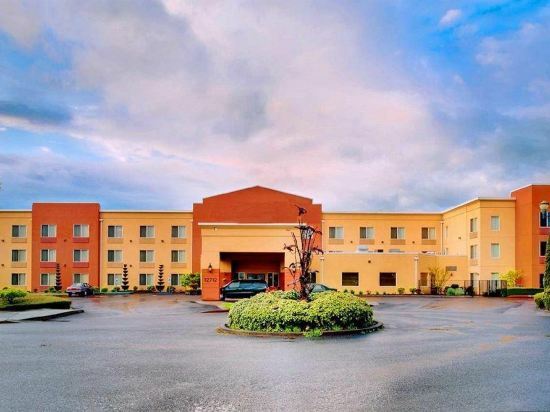 Hold an event for up to 45 people at this hotel in Vancouver, WA, with a conference room and a board room and take advantage of useful services in the free business center.Friendly service, clean rooms, comfortable surroundings, every time. If you're not satisfied, we don't expect you to pay. That's our commitment and your guarantee. That's 100% Hampton??. Welcome to DoubleTree by Hilton Vancouver, WA, where our friendly staff looks forward to greeting you with a signature, warm chocolate chip cookie at check-in. 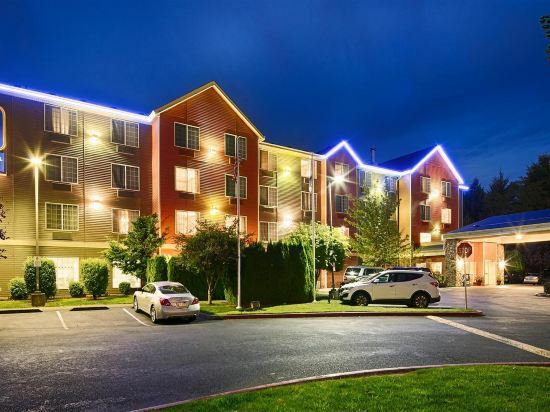 Situated in front of a business park in the Columbia River valley, this modern hotel is near popular restaurants and corporate offices including Peacehealth, Fisher Investments, SEH and HP. Enjoy access to downtown Vancouver and downtown Portland, just 15 minutes from this Vancouver, WA hotel. The Columbia River is only minutes away and Portland International Airport is just six miles northeast. Visit historic attractions like Fort Vancouver and Pearson Air Museum, easily reached from our hotel in Vancouver, Washington.Unwind in a spacious guest room, equipped with complimentary WiFi, a 38-inch HDTV, a mini-refrigerator, a microwave and a separate seating area and work space. Upgrade to a suite for additional space and amenities - ideal for families and small business meetings.With 1,900 sq. ft. of events space, comprised of a large, open meeting room and a smaller boardroom; audio/visual equipment, a 24-hour business center, innovative catering services and a professional staff, this hotel in Vancouver, WA is ideal for a variety of functions.Energize with contemporary Precor equipment in the complimentary fitness center, or refresh in the indoor swimming pool or whirlpool. Take advantage of good weather on the outdoor patio, which offers seating and a cooking grill. Enjoy locally sourced food and drinks in the relaxed atmosphere of the Northwest-inspired Press NW Bistro & Bar, or take advantage of their delicious 'grab-and-go' options. 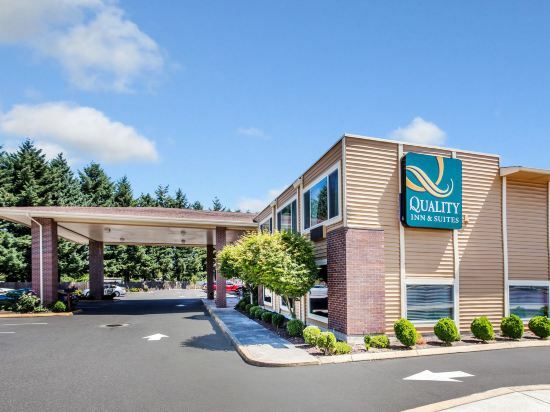 Our extended stay hotel in Vancouver， Washington features all suites with free wireless internet and neighborhood-style living. Our all-suite hotel， near Portland， Oregon features fully equipped kitchens including microwave and refrigerator. Vancouver’s newest all-suite Vancouver， WA hotel is the closest hotel to PeaceHealth and Hewlett Packard campuses. Marriott TownePlace Suites Vancouver is located in a park setting， featuring biking and jogging trails and a weekly farmers market with fresh local items. Guests will find that our spacious suites， plush bedding， sleeper sofa， work desk and complimentary breakfast offer a comfortable living environment. Visit our fitness center for a great workout or the lobby business center to catch up on work. Gather on our patio with family and friends around our outdoor fire pit， BBQ and outdoor pool. Few hotels in Vancouver， Washington make you feel more at home during an extended stay， so book a suite today! If you want to stay at the best hotel in Vancouver, Trip.com is here to help! 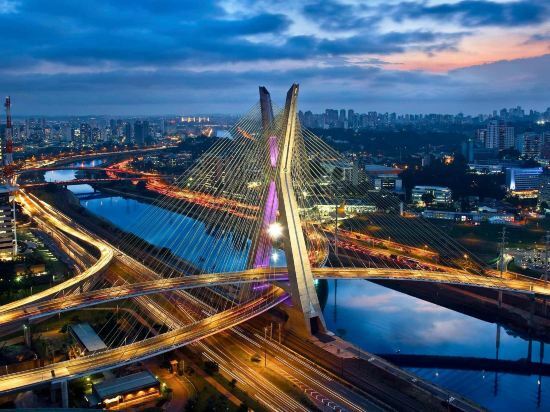 Book your hotel on Trip.com for an amazing travel experience. You can plan a one or two day trip to Vancouver. If you travel to United States, visiting Vancouver is a good choice. There is no civilian airport in this city. You can visit a nearby city first, and then head to Vancouver using other means of transportation. On Trip.com, there are 28 recommended hotels in Vancouver. When looking for hotels in Vancouver, there are likely good options at a nightly budget of just 125 USD. There are 1 four-star hotels in Vancouver at an average price of 178 USD per night. There are 11 three-star hotels in Vancouver at an average price of 152 USD per night. There are 15 two-star hotels in Vancouver at an average price of 107 USD per night. There are many well-known chain hotels in Vancouver. Howard Johnson is the top choice of many travelers in Vancouver. In Vancouver, there are hotels under the Howard Johnson brand. 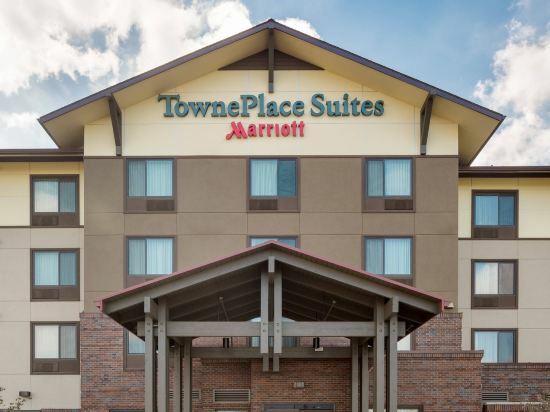 Travelers who favor this brand can choose to stay there to enjoy the luxury services provided by Howard Johnson. Value Motel in Vancouver is a favorite among Trip.com users. Many tourists also stay at TownePlace by Marriott Suites Portland Vancouver. In the city center of Vancouver, you'll have easy access to Clark County Historical Museum, Marshall Community Center. If you want to spend a fun vacation with your family, locals recommend visiting The Columbia Gorge Riverboat, Pacific Community Park. The most popular attractions for tourists in Vancouver are The Academy, George C. Marshall House, Vancouver National Historic Reserve. Upon departure, you can head to popular commercial areas like Wine Dirt, Learning Palace-Closed, Arnada Naturals to buy souvenirs or travel accessories. Vancouver hotel information & deal: Check out room rates, photos, a map and reviews of hotels in Vancouver and find the best deals on Vancouver hotels. Trip.com offers big savings on online reservations for Vancouver accommodation. Book Vancouver vacation packages and Vancouver tours with huge discounts on Trip.com!